Download Table Tent Mockup Template Free PSD. This Free Table Tent Card Mockup is great to show your brand or designs for restaurants, bar, diner, cafe, food menu, bistro etc. 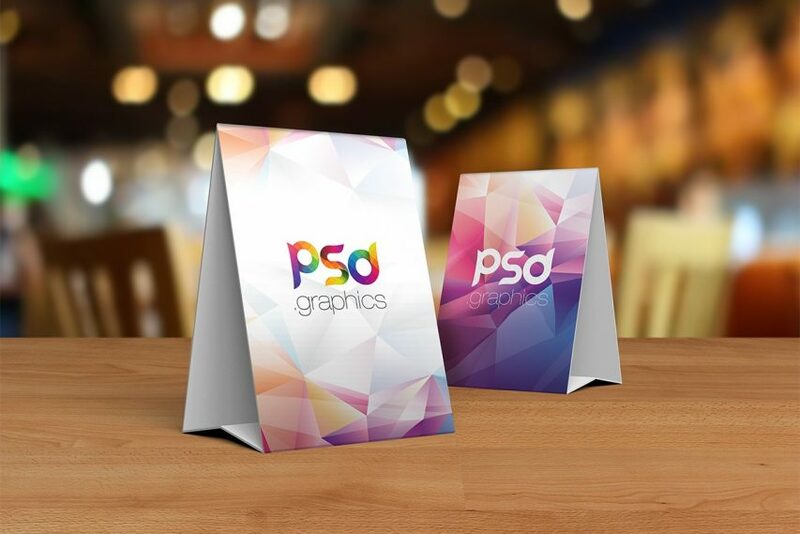 You can present your favorite food menu design or products to your clients and customers in a photo realistic way using this free Table Tent Mockup. Even if you are a designer, this tent card mockup will help you present your design work in style. Easy to replace pages with your designs using smart objects, double-click the Smart Layer, copy and paste your artwork, save the file and you are done. All in all this mockup template has a modern and elegant look which is prefect for you design presentation. This layered PSD resources comes with Easy & customizable PSD file arranged in groups and named perfectly which can save the time to create your own mockup. You can modify this Table Tent Mockup Template PSD as you wish. However you are free to use this Free PSD in your personal and commercial projects. If you are using this file please give some credits to psd.graphics Hope you like it. Enjoy!